Fall is a busy time for emergency care instructors as the new school year begins and districts start to offer CPR, AED and first aid classes to students, faculty and staff. It’s the perfect time to bring some fun into your classroom and make your emergency care class the one they remember. HSI’s LOOP CPR feedback device uses interactive music, video and other game-related concepts to create a compelling training experience. Fast-paced and fun, LOOP is suitable for training kids and adults alike. 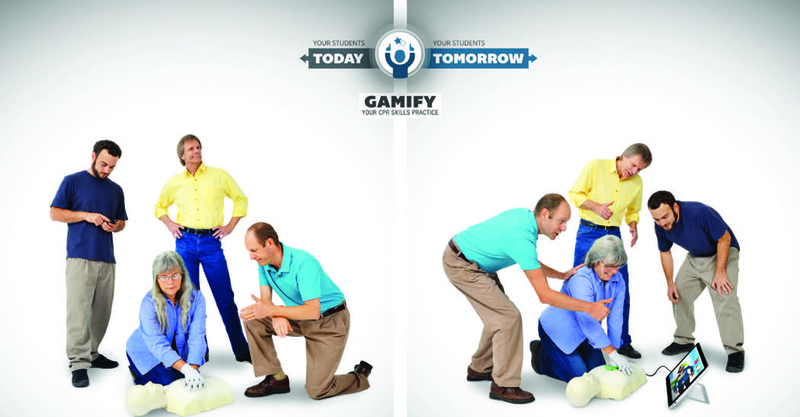 For those CPR-experienced students who are occupationally required to keep their training up to date, adding some “gamification” helps you bring a new dimension to familiar course content. LOOP can be used when teaching full or compression-only CPR skills. LOOP's real-time performance feedback enhances your instruction by clearly showing you and the student what's going right and what needs to improve. Compression depth and rate (100, 110 or 120 compressions per minute), length of ventilations, minimal pauses between compressions—LOOP measures and interprets data on all the vital components of high-quality CPR so students can see for themselves that they have successfully performed these potentially lifesaving skills. Special Offer: Through September 30, 2017, new HSI customers can get a LOOP for only $150. * Use promo code LOOP150 at checkout when ordering online or by calling 800-447-3177. Help your students go from the classroom to the real world with more confidence in their skills in a whole new way. *Available for new HSI customers only. Current ASHI and MEDIC First Aid Training Centers should contact their HSI representative at 800-447-3177 for information on an exclusive LOOP offer for TCs. Expires September 30, 2017. $150 price does not include shipping or taxes. Cannot be combined with other offers. Not available for prior purchases.